Raised in 1902 and disbanded in 1922; one squadron served as part of the BEF at Mons in 1914 and subsequently a further five squadrons served with distinction throughout the Great War in France and Flanders. This is the first published account of the South Irish Horse and the author has done well to pull together a coherent and relatively detailed story draw largely from incomplete war diaries and press reports. He includes a reconstructed roll of honour and a list of honours and awards. Included in the book are stunning sketches, clear uncluttered maps, artwork and photographs, each linking to the vast experience which the Division had on the Battlefield. One of my own favourite images is that of the 7th Gordons clearing Y-Ravine by Fred A. Farrell. 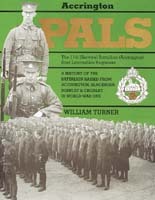 Moreover, despite its hardback cover and quality design, it is a perfect size to fit in a suitcase if visiting the battlefields and following in the footsteps of this Division. Not able to see the embed? You need Adobe Flash Player enabled.